Are You a blood donor? 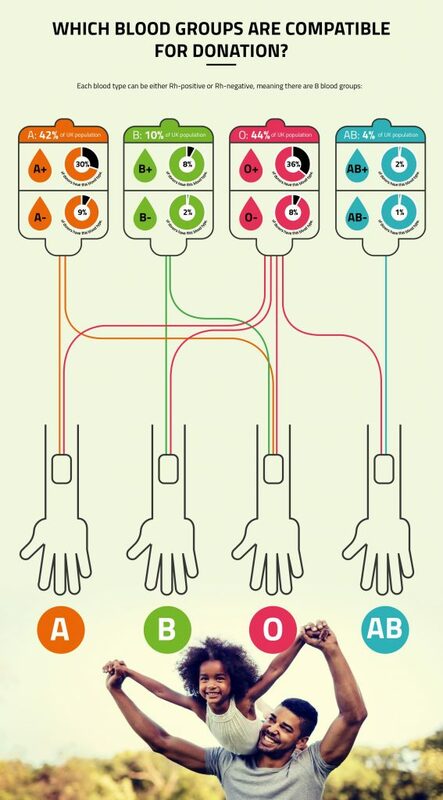 Guide to how blood is collected and used. 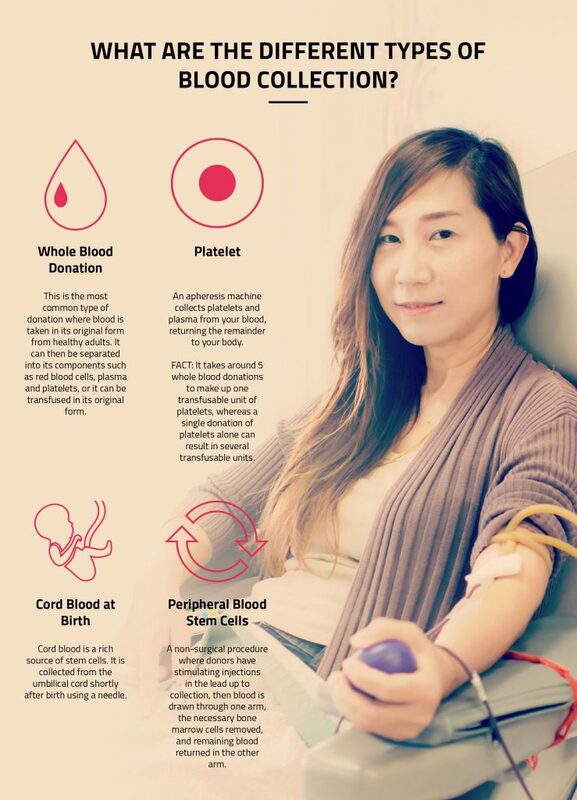 Home » Blog » Are you a blood donor? In the UK there are currently nearly a million active blood donors whose blood is set aside at hospitals for patients in need. This blood is vital if you face an emergency and need a transfusion, however where the blood comes from won’t be something that perhaps would cross your mind until you need it. 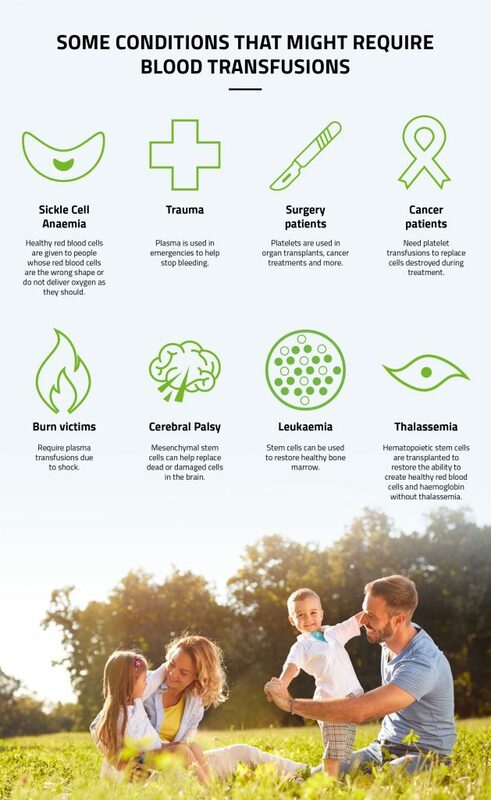 Cord blood collection and storage company, Smart Cells, are raising awareness to encourage more people to donate blood and create awareness around donation and its importance. All blood groups except for type O have the option to receive blood from one or more other blood groups. Anyone with blood type O is considered a universal donor; and is given to anyone, which is why its most commonly used, such as in situations where a patient’s blood type is unknown. However, patients with blood type O can only have their blood type. To complicate matters further these four blood types groups then separate down further into Rh-positive or Rh-negative, giving us eight blood types in total, the image below explains the types and who can have what blood type. 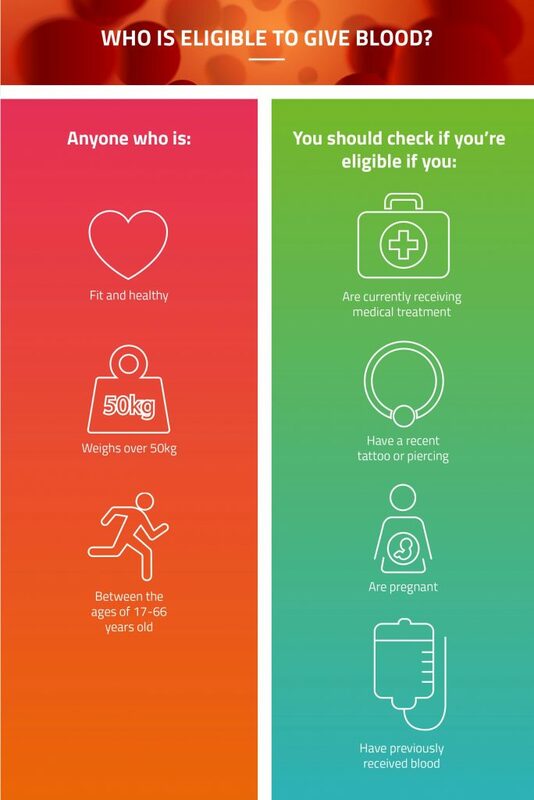 If you wish to start donating blood, you need to see if you are eligible and you must meet a set criteria which determines whether or not you can donate, or if you have to wait a period of time to donate. Many people aren’t aware of their blood type, with many only learning what their type is through donations, pregnancy or hospital procedures. Giving blood not only save lives but it can also transform lives, it’s easy to do and only requires a short amount of your time. There are donation centres all around the country and mobile units running as well, so it’s easy to find somewhere local to you. Plus after you donate, you also get a nice hot drink and a biscuit!